Travel with a company whose tours are Recommended by Budget Travel! 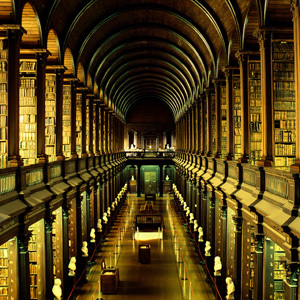 Explore Ireland in depth and hear exciting stories of its rich history, legends, and myths. Begin your trip in Dublin, Ireland’s capital, with an orientation drive that introduces you to the major attractions. Head north through the Boyne Valley and the Mountains of Mourne to Downpatrick, and on to Belfast, the vibrant capital of Northern Ireland. Take the scenic route along the Antrim coast to dramatic Giant’s Causeway, a UNESCO World Heritage Site. Visit Derry and Donegal, then drive along Donegal Bay on your way to Sligo. Via Knock, where pilgrims from around the world flock to the Marian Shrine, and vibrant coastal Galway, you reach the breathtaking 668-foot Cliffs of Moher. Take photographs of the thatched cottages in Adare, then spectacular vistas await during the coastal drive along the beautiful “Ring of Kerry,” where you’ll see sparkling seascapes, mountains dotted with brightly colored farmhouses, winding lanes bordered with verdant vegetation, and the Lakes of Killarney. An excursion to the Dingle Peninsula allows you to drink in the breathtaking scenery. Next, stop in Blarney, famous for its castle and “Stone of Eloquence”; also enjoy a guided tour of the House of Waterford Crystal. Heading north, visit Ireland’s oldest handweaving mill at Avoca, and Glendalough with its ruins of St. Kevin’s Centre of Irish Christianity. Back in Dublin, your vacation ends with an exciting optional tour. Check into your hotel. At 3 pm, meet your traveling companions for an afternoon orientation drive through statue-lined O’Connell Street and elegant Georgian squares to St. Patrick’s Cathedral and Trinity College. End the day with an optional Irish cabaret evening including dinner, dance, song, and laughter. On your northbound route today, pass Drogheda, scene of the Battle of the Boyne in 1690, then through the fertile landscape of the Boyne Valley, known for its prehistoric passage graves. Cross the border into Northern Ireland and drive past the Mountains of Mourne to Downpatrick, the burial place of Patrick, Ireland’s Patron Saint, and on to the vibrant city of Belfast, where the Titanic was built. Later, why not join a Local Guide on a “living history” tour including a visit to the fascinating Titanic Exhibition? First stop this morning is GIANT’S CAUSEWAY, a UNESCO World Heritage Site. Let the province’s story unfold as you head for the city of Derry before returning to the Republic to visit Donegal, the ancient town founded by Danish Vikings and home of the O’Donnell Clan. Drive along Donegal Bay with its small fishing ports and hidden beaches before arriving in Sligo, tonight’s destination. South to Knock, a village that has attracted pilgrims from all over the world since the townsfolk saw apparitions. Then, to Galway, a popular seaside destination and a buzzing cosmopolitan center with colorful shops and a busy café and bar culture. 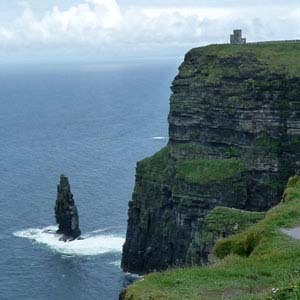 Cross the limestone plateau of The Burren to visit the spectacular 668-foot CLIFFS OF MOHER. Tonight’s optional opportunity: a medieval banquet at Bunratty Castle. Skirting the city of Limerick, head to Adare, a village known for its prize-winning thatched cottages. At Killorglin, join the road known as the RING OF KERRY for a 100-mile coastal panoramic drive: sparkling seascapes, mountains dotted with brightly colored farmhouses, winding lanes bordered with subtropical vegetation, and spectacular views of the Lakes of Killarney from Ladies View. The next two nights are spent in the popular resort of Killarney. Breathtaking scenery this morning on the Dingle Peninsula, where the 32-mile Slea Head drive affords magnificent vistas of the Atlantic Ocean. See the Blasket Islands and hear about the way of life and unique literary achievements of its inhabitants prior to their evacuation in 1953. Back in Killarney, a special optional adventure: take a horse-drawn jaunting car along the national park lakeshore for pictures of Ross Castle. Tonight, enjoy the optional outing to Tralee for dinner and a performance at Siamsa Tire, Ireland’s National Folk Theatre. More scenic splendor as you head over the Kerry Mountains into County Cork. Stop in Blarney, famous for its Stone of Eloquence, with time at your leisure to see the castle and shop for Irish crafts and handmade crystal. After lunch, drive past Cork, the country’s second-largest city on the way to Waterford, where a guided tour of the HOUSE OF WATERFORD CRYSTAL is included. Spend the night at the nearby seaside resort of Tramore. An optional pub tour might be fun this evening. Highlights on your northbound journey: Enniscorthy, site of the final battle of the Great Rebellion of 1798; a visit to Ireland’s oldest HANDWEAVING MILL at Avoca; views of the Wicklow Mountains; and Glendalough with its ruins of a center of Irish Christianity, founded by St. Kevin. Back in Dublin tonight, celebrate the success of your tour with an optional dinner evening at the Guinness Storehouse. The following list of optional excursions are examples only for this vacation. These optional excursions might or might not be available. Whether it’s a special dinner, a local show or a special behind-the-scenes glimpse into an historical site, optional excursions are a wonderful way to enrich your vacation even further. Plus, they give you flexibility. We include the must-see sites and experiences, and we also understand that people take interest in different activities and may want to craft a more personal vacation by hand-picking optional excursions that appeal to them. Guinness Storehouse Visit & Supper Guinness is known the world over – located in the heart of the St James’s Gate Brewery, the Guinness Storehouse, a former fermentation plant, has been remodeled into the shape of a giant pint of Guinness. 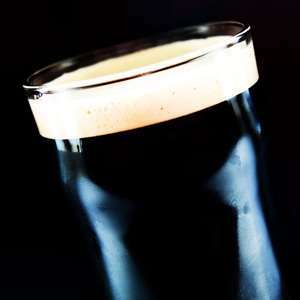 This visit will teach you everything about the world famous beer: from how Guinness is made, to the ancient craft of barrel making in the cooperage. The highlight is the 7th floor Gravity Bar, where you will sample a pint of “the black stuff” and enjoy the breathtaking views across Dublin City. Round the evening off with an excellent buffet dinner with wine. 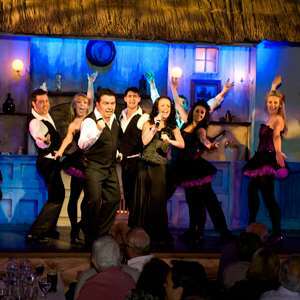 Traditional Irish Cabaret Evening The enchanting evening starts with a four-course dinner with wine and a traditional Irish coffee. Then enjoy an evening of quality entertainment, celebrating the best of everything Irish in comedy, music, song & dance from Ireland’s leading entertainers. Enjoy a lively blend of traditional Irish dance, ballads and tunes. The dancers thrill audiences as they twirl and tap with exuberance to the musical accompaniment of the accordion, uileann pipes, guitar and piano. A fun and unforgettable evening. 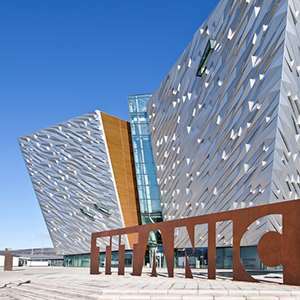 Belfast City Tour and Titanic Exhibition This fascinating in-depth tour of Belfast will take you past all the city’s attractions including the City Hall, the Albert Memorial Clock Tower and Queen’s University. You will also see some of the famous murals, which depict the region’s past and present political and religious divisions. Conclude your tour with a visit to the Titanic Exhibition, where you will re-live the entire Titanic story from her birth to the fateful maiden voyage, the tragic night of 14 April 1912, and her eventual discovery on the seabed. Bunratty Castle Medieval Banquet A memorable evening of entertainment at Bunratty Castle, once the home of the Earls of Thomond. Starting with a mead reception in the Great Hall you will then be led into the Main Guard for a four course meal with wine. 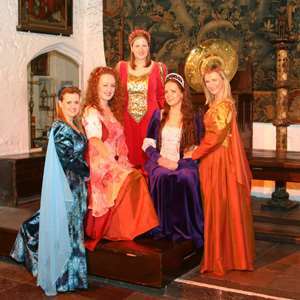 The Ladies of the Castle, aided and abetted by the Earl’s Butler, will lead the wonderful entertainment which is provided by the renowned Bunratty Castle Entertainers and accompanied by harp and violin. 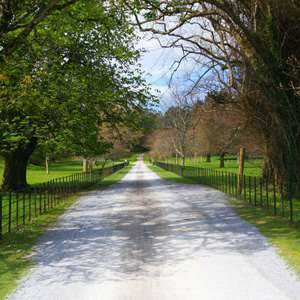 Jaunting Car Ride through the National Park When visiting Killarney, a jaunting car ride should not be missed! Your “jarvey” will pick you up at the hotel and take you along Killarney National Park, Deer Park and on to Ross Castle on the shores of Lough Lein. There is time to take photographs of the restored 15th century castle in picture perfect setting, before taking a different route back to your hotel. All along the way, the driver will regale you with stories, anecdotes and local gossip. Siamsa Tire National Folk Theatre Performance Irish entertainment in its purest form. This unique experience begins with a visit to Ireland’s famous Rose town, Tralee, where you enjoy dinner with wine at a local restaurant. Then, take your seats at the Siamsa Tire National Folk Theatre where the legendary heritage of Ireland is re-enacted in compelling songs and dance. This theater does a truly magnificent job of re-creating Ireland’s Celtic roots with glorious visual, musical and magical productions. 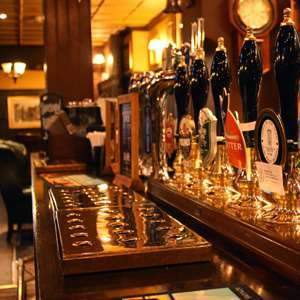 Tramore Pub Evening For local Irish flavor, take a scenic drive to a traditional pub with a local musician ready to entertain you and give you wonderful memories of this beautiful country. Join the locals in a bit of ‘craic’ while you enjoy two drinks of your choice and listen to some typical Irish music and songs.